It won't get you high, but researchers at UConn say they've found another use for Cannabis plants. The fiber crop Cannabis sativa, known as industrial hemp, has properties that make it attractive as a raw material for producing biodiesel fuel, UConn Today reports. Richard Parnas, a professor of chemicals, materials and biomolecular engineering, led a UConn study on the subject. Several things make the hemp an appealing option for producing the sustainable diesel fuel that's made from renewable plant sources, he said. Like the plant's ability to grow in infertile soils, reducing the need to grow it on primary croplands, which can then be reserved for growing food. 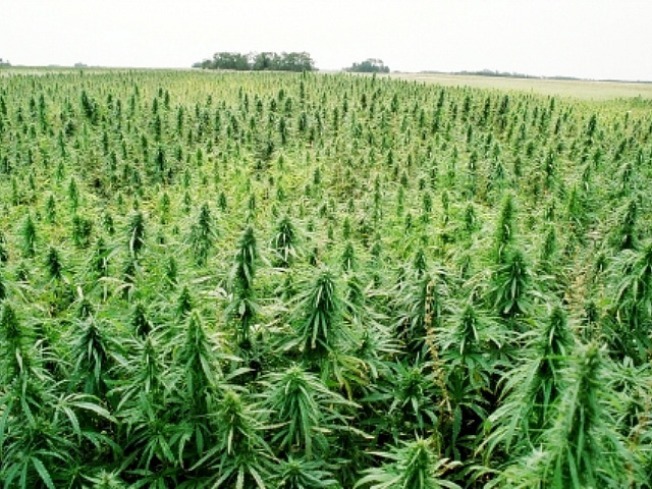 Industrial hemp is grown across the world, mainly in Europe and Asia and fiber from the stalk was used worldwide to make rope and clothing until the development of synthetic fibers in the 1950s. Parnas says that because a hemp industry already exists, a hemp biodiesel industry would need little additional investment. Parnas is putting his research to the test. With a graduate student and colleagues, Parnas used virgin seed oil to create biodiesel. The group then tested the fuel and found it showed a high efficiency of conversion - 97 percent of the hemp oil was converted to biodiesel. The fuel passed all of the laboratory's tests, even showing properties that suggest it could be used at lower temperatures than any biodiesel currently on the market. Parnas hopes the team's results will help spur hemp biodiesel production in other parts of the world, since growing hemp is not legal in the U.S. UConn holds a patent on a biodiesel reactor system that could be customized to make biodiesel from a range of sustainable inputs, hemp included. Parnas and several collegues are preparing to build a pilot biodiesel production facility using a two-year, $1.8 million grant from the Department of Energy, UConn Today reports. The main use of the facility will be to test new ways to produce biodiesel. As for other uses of Cannabis plants, Parna makes a clear distinction between industrial hemp, which contains less than 1 percent psychoactive chemicals in its flowers, and some of its cousins, which contain up to 22 percent.